Awarded annually to a college-bound North Shore high school senior who is a cancer survivor or is currently undergoing treatment for cancer. 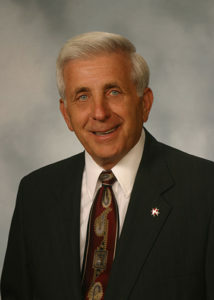 David J. Solimine Sr. is the Founder and Director of Solimine Funeral Homes. Mr. Solimine is deeply committed to the health and wellbeing of North Shore residents. A lifelong Lynn resident, Dave takes pride in his deep community roots. 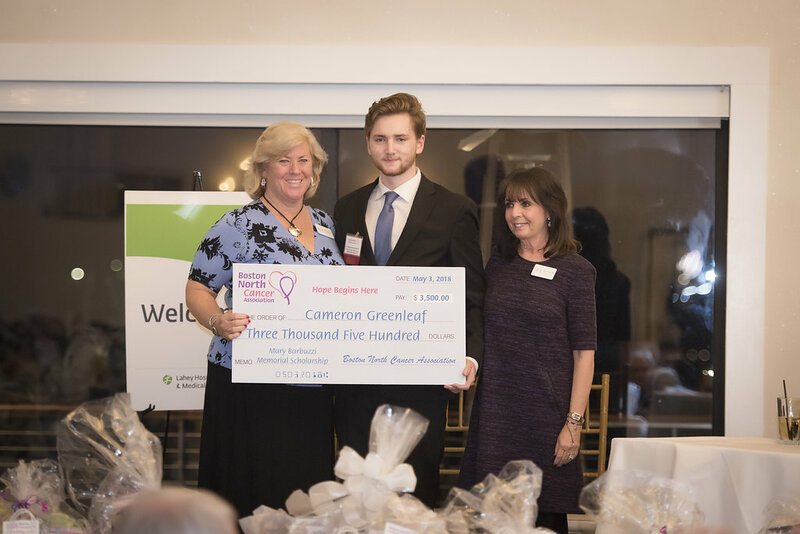 A dedicated and tireless community leader, Dave is a past president and long serving member of Boston North Cancer Association’s Board of Directors. 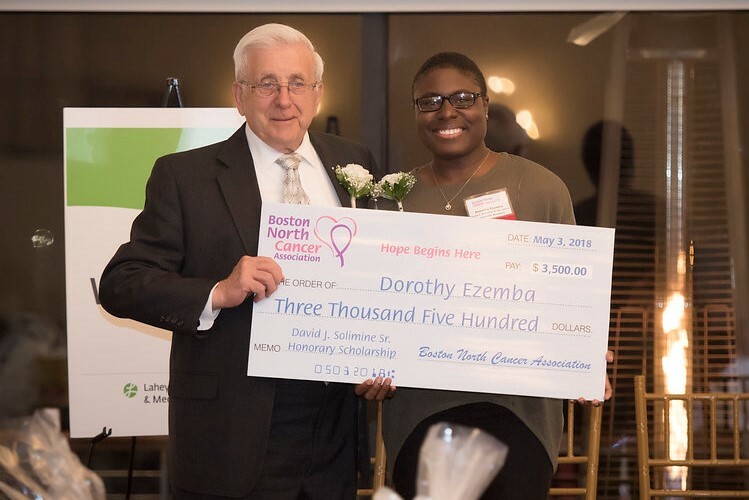 A $3,500 scholarship awarded annually to a college-bound North Shore high school senior whose parent is currently undergoing treatment for breast cancer, survived breast cancer treatment, or passed away from breast cancer. 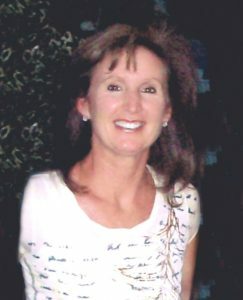 The late Mary Barbuzzi was a member of the Boston North Cancer Association’s Board of Directors for over ten years. Born in Lynn, Mary was a resident of Swampscott most of her life. A known leader in home care, Mary was a successful businesswoman who developed Freedom Home Care into a top private home care agency on the North Shore. 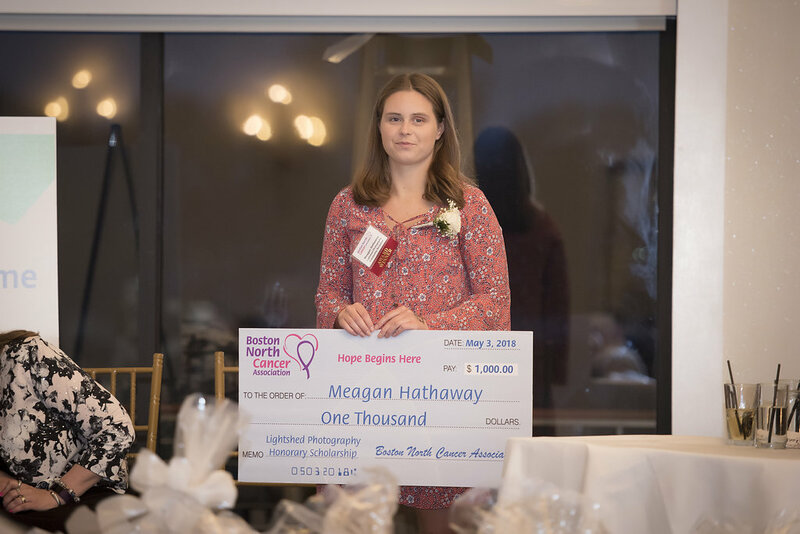 Awarded annually to a college-bound North Shore high school senior whose parent either passed away from cancer, survived cancer during the applicant's childhood years, or is currently undergoing treatment for cancer. 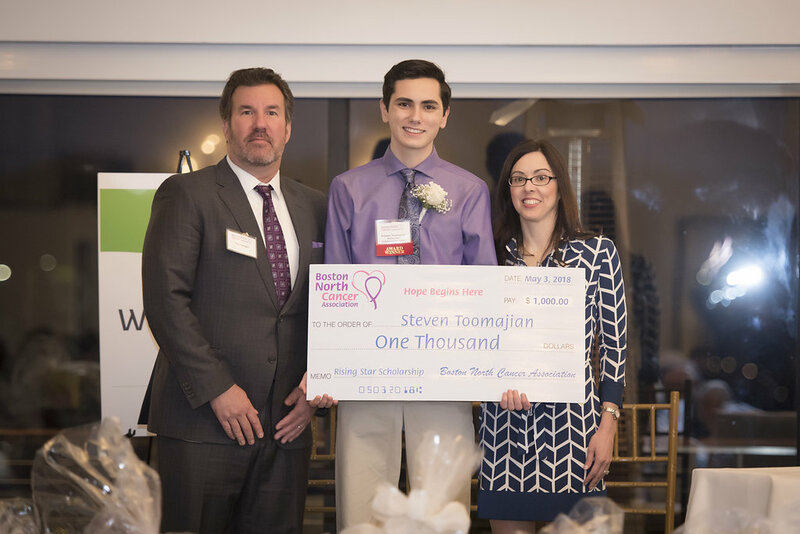 This scholarship is awarded in honor of the annual recipient of the Boston North Cancer Association's Hope Begins Here Award. 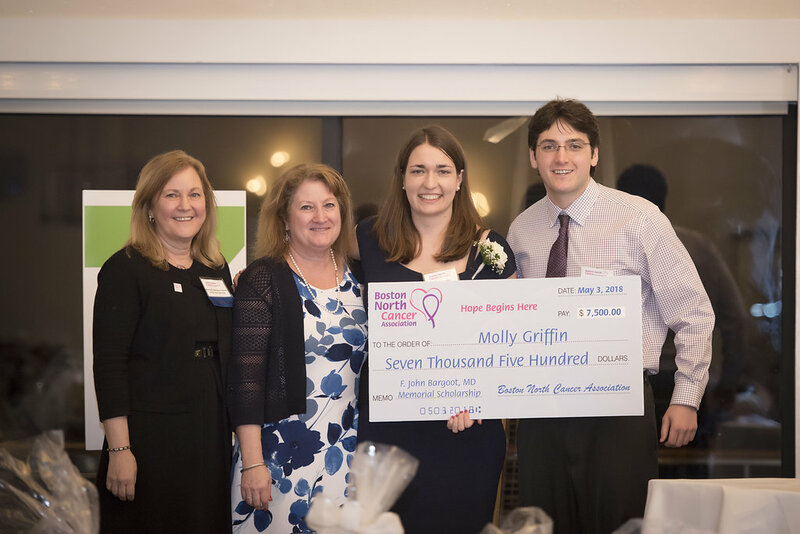 Awarded annually to a medical school student who resided in Essex County, MA during their high school years and has a demonstrated interest in cancer treatment and prevention. The late F. John Bargoot, MD was past president and long serving member of the Boston North Cancer Association’s Board of Directors. 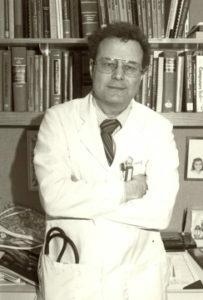 A resident of Swampscott, MA for 40 years, Dr. Bargoot dedicated his entire career to the treatment and prevention of cancer. He served as the Director of the Division of Radiation Therapy for Atlanticare Medical Center in Lynn, MA from 1973-1993, and as a Radiation Oncologist at Lahey Clinic for 10 years. 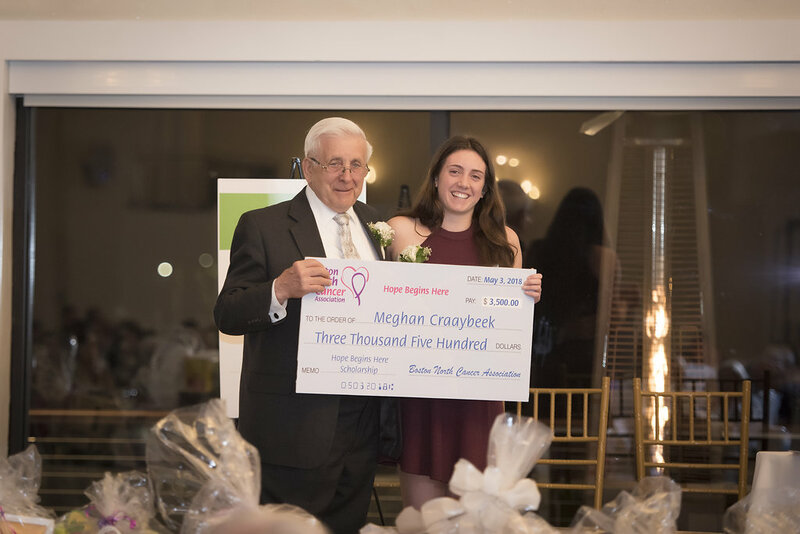 Through the generosity of a growing number of supportive donors, a $1,000 privately-funded honorary scholarship awarded to a college-bound North Shore high school senior impacted by cancer personally or in their immediate family (finalist for above-mentioned scholarships}, based on availability. ** In 2018, two $3,500 scholarships were awarded in this category. *In 2010, two $1,000 scholarships were awarded in this category. *In 2010, three $1,000 scholarships were awarded in this category.